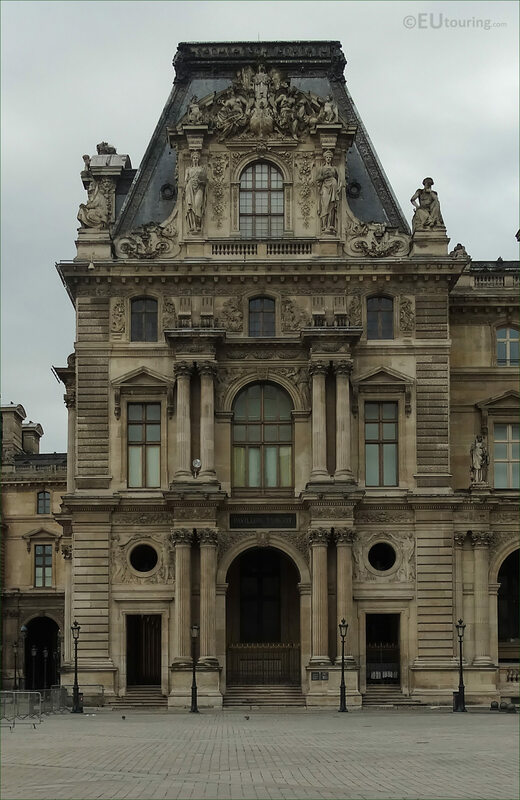 While we were admiring the architecture on the Musee du Louvre, we took these high definition photos showing a sculpture called La Science et l'Industrie, which was sculpted by Georges Diebolt. 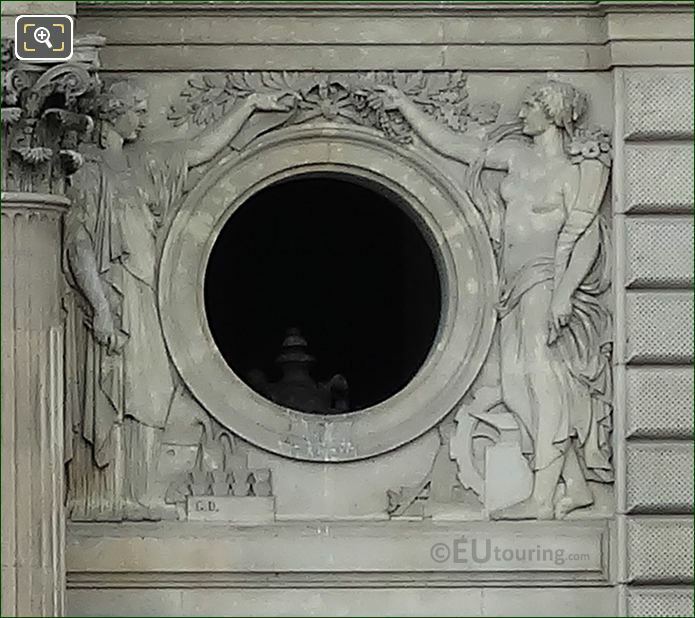 This first HD photo shows a sculpture called La Science et l'Industrie, that surrounds a porthole style window, sometimes referred to as a bulls eye, which is located on the Pavillon Turgot and this was put in place on the former Palais du Louvre in the 1850s when numerous decorations and statues were added to the facades of this famous tourist attraction. Now you will find that this allegory was sculpted by Georges Diebolt, who was born in 1816 initially studying in his home town of Dijon before entering the Ecole des Beaux Arts in 1835, and after winning the Prix de Rome he received numerous commissions including this one of Science and Industry, and if you look very carefully at the bottom left of the bas relief you will see his initials. 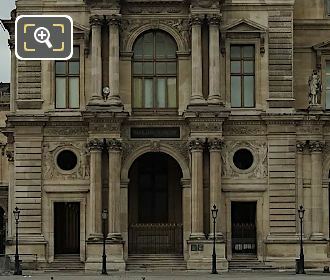 A form of sculpture called a bas relief, or low relief, in this photograph you can see that there are two porthole windows on the Pavillon Turgot, both with allegorical designs surrounding them, and when you are standing in the courtyard of the Louvre Museum called the Cour Napoleon, you will find this particular one of La Science et l'Industrie located to the right hand side of the pillars and entrance. Yet Georges Diebolt also produced the one on the left hand side of the Turgot Pavilion plus with several other statues and sculptures for different wings of The Louvre, along with other works that can be found at many tourist attractions in Paris such as the Pont de l'Alma and the Tour Saint Jacques.